Many of you might have heard rumors that Facebook is all set to launch a new mobile platform. Well, it turns out this time the rumors were close to true. Today, Facebook has introduced “Facebook Home” for some popular Android phones like HTC. 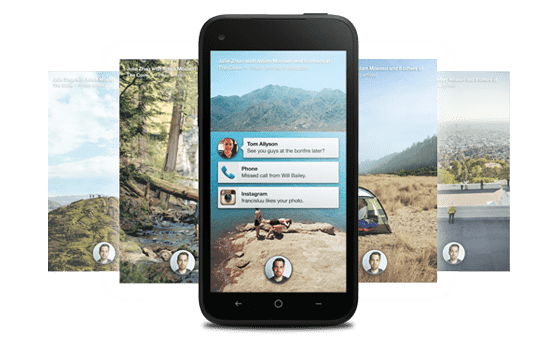 Giving more emphasis to people rather than on apps, Facebook Home can change the way people interact with their smartphones. 2 Why choose Android for their new product? Rather than building their own mobile platform, Facebook considered creating something that would readily be available to maximum number of Facebook users out there. We have previously seen similar attempts by Facebook to bring about similar user experiences across all mobile platforms. But this time, Facebook has announced the launch of its new product on specific Android powered devices only. Home is just another launcher type app that will change the look and feel of your Android phone. Why choose Android for their new product? Facebook wants the majority of its users to get the same experience with any product they have launched. However, in some cases, exceptions have to be made. This time, Android was chosen because it is easier to alter the look and feel of an Android device without having to root it. Changing core interface and its look and feel is not possible on iOS devices without jailbreaking them. Hence, Android was the most suitable platform for the new product. Cover Feed: The Home Screen will feature all your Facebook feeds, and you can directly “Like” or “Comment” from your Home. Notifications: Notifications stack up in the center of the screen. Tapping on them opens the particular feed on Facebook. Swiping them to the side removes them from the Home Screen. Finally, double tapping on a notification converts all of them into a pile. The Home Button: The Home Screen contains a circular button that displays your profile picture. Tapping on this home button unveils three more buttons: Apps, Messenger and a shortcut to the last accessed app. Chat Heads – Integrated messaging: Facebook has always emphasized on bringing connectivity first. The new Chat Heads feature shows just that. Whenever you receive a message, whether from Facebook Messenger or via SMS, your friend’s face pops up in a corner of the screen and you can instantly reply him/her. The conversation thread colors are different for Messenger contacts and SMS contacts. Facebook Home ships built into the new HTC First smartphone. You can preorder it from the Facebook website. For others who want to use Facebook Home, it will be available for download for the following smartphones from April 12 onwards. Facebook is likely to roll out support for other devices later this year. Once Facebook Home is installed, pressing on the Android Home Button will pop up a notification to choose an application (The Android Launcher or Facebook Home). You may also try it out by selecting Just Once or make a permanent switch to Facebook Home by selecting the Always option. That’s it. Your Android Phone should now smoothly run Facebook Home.